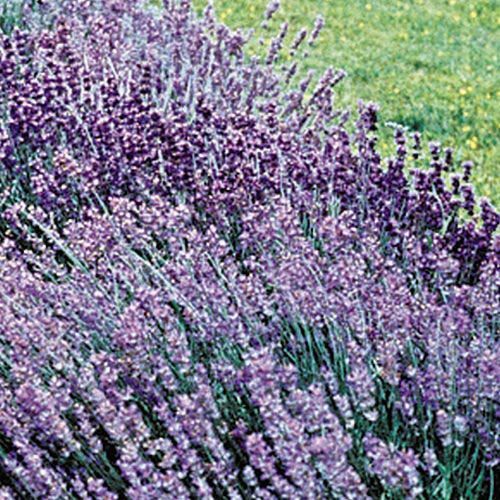 Hardy Lavender | Gurney's Seed & Nursery Co. Even the foliage smells sweet! Forms neat, grayish-green mounds, 15-20 in. high, dotted with purple flowers from early summer to frost. A favorite for sachets and potpourri. Best planted in full sun. Bareroot. Zones4 - 9 (-20° F.). Protect in areas below -20 F.
FoliageGray-green almost white when young, evergreen needle-like, 1-1/2 inch long, 1/4 inch wide foliage. Flower FormMany very tiny flowers form whorls along a terminal spike up to 8 inches long. Soil RequirementsA well-drained, sandy soil is important. Growth RateModerate growth rate once established, which takes approximately 4 - 6 weeks. PruningIn the spring after buds break, if using for drying, trim back spent flower stems and shear back to 12 - 15 inches annually. CommentsNot only is this perennial indispensable for its strong fragrance but it is a lovely component for the garden. The neat mounds can be used as low hedges, edges for a border, interplanted amongst other perennials in a flower bed and it is very attractive in a container. Lavender has been a garden favorite for years and the flowers can be cut to dry for fragrancing at home. This is one of the most durable available and asks only for hot Summer sun and a well-drained site out of wind. Thrives in baking hot situations where many other plants will not grow. 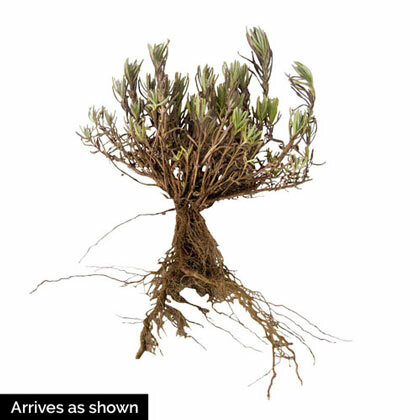 DepthPlant with the crown(where the roots meet) at soil surface.